Check out these two links. Everything should work… but it doesn’t always. – Move the LUNS on the storage side. – Start the cluster, make sure everything is OK then apply to other nodes. I added a shutdown of one of the nodes in one of the following steps. select Configure cluster Quorum Settings. Change from Node and Disk Majority and switch to only Node Majority. Once that is complete, disconnect the old LUN from the cluster. Go back to quorum configuration and switch back to node and disk majority. The cluster software writes a disk signature to each drive (LUN) and that is how it keeps track of them. If you preserve the complete contents of the LUNs, it should not have any issues recognizing them on a different IQN. According to Microsoft’s announcement, iSCSI Software Target 3.3 is the first release that can be used in a production environment. The product enables “storage consolidation and sharing on a Windows Server by implementing the iSCSI (Internet Small Computer Systems Interface) protocol, which supports SCSI-block access to [a] storage device over a TCP/IP network,” according to the product overview at Microsoft’s Download Center. Microsoft’s team ran this release the software through extensive testing, particularly with Windows Server failover clusters and Hyper-V, according to the announcement. One scenario involved using Microsoft iSCSI Software Target in a “two-node Failover Cluster,” with 92 Hyper-V virtual machines storing data to one of the nodes. The team introduced a failure in the main node and found that all 92 virtual machines switched to the second node without a noticeable effect on the underlying application. Microsoft is recommending using Service Pack 1 with Windows Server 2008 R2 for this release of Microsoft iSCSI Software Target. The product can be installed in a Hyper-V virtual machine. It doesn’t work with a core installation of Windows Server 2008 R2. Let’s Cleanup those Old Windows Update Files! For more details, read below. The script can be run from any directory on the server. It has two parameters: LogPath and a switch called NoReboot. LogPath will allow the user to specify a log location or if none is specified, by default, the script will create a log in the same directory from which the script was executed. 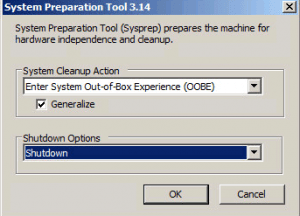 NoReboot allows the user to suppress reboots, but will require manual reboots by an administrator. Note: Make sure to check the log file to verify the process completed successfully and to verify there is no manual interaction required. If the script has completed successfully, the log will end with CleanMgr complete. The script has several phases, using a registry key to keep track of progress. After initial run, it inserts itself as a scheduled task, which runs as local system. The final phase removes the task. Depending on pending reboots, etc, we have found that this phase may generate a few reboots. Do not be concerned if the server reboots a few times. Specifying the /spsuperceded switch or choosing to remove service pack backup files will remove the ability to uninstall the service pack. If you haven’t done it before, it is certain to free up some space. I’ve mentioned a couple of times that this is a back port. What does that mean? Well, it means that this functionality is already built into a later operating system. In this case, that operating system is Windows Server 2012 R2. Not only do we have several mechanisms to automatically cleanup previous versions of Windows Update files like this update does, we even have the ability to more accurately determine the size of the component store (aka the WinSxS directory). Notice that the component store is much smaller than Windows Server 2008 R2 right out of the gate? This isn’t because I’ve used Features on Demand to remove roles and features. It’s because by default in Windows Server 2012 R2, we compress all unused binaries. Another win for Windows Server 2012 R2! Looking at the breakdown of the 5.12GB. We see that Shared with Windows accounts for 3.83GB of the 5.12GB. Shared with Windows refers to the size of the files that are hardlinked between the WinSxS directory and the Windows location of the file. Because these hardlinks appear to take up space, but don’t really, we can subtract them from our component store size. Therefore, the actual size of the component store is the total of Backups and Disabled Features plus Cache and Temporary Data or 1.28GB. But back to our cleanup. What does this do? When this runs, Windows cleans up the previous versions of the component that was updated. 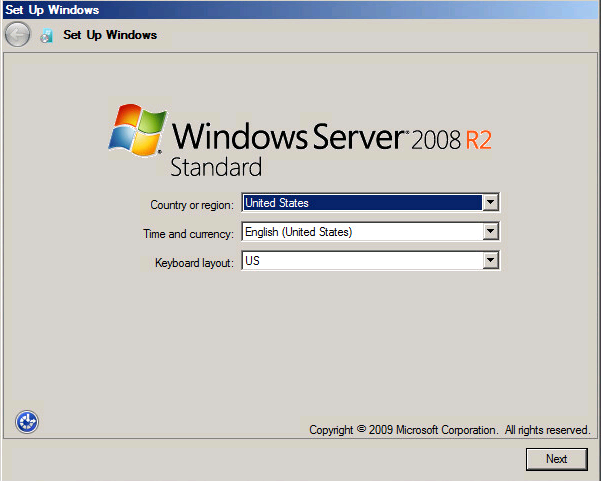 In other words, it is doing exactly what our update does for Windows Server 2008 R2 SP1. It removes previous versions of the files updated by Windows Updates. So no notable difference really. Largely because we’ve been running this cleanup all along. This same command is run every 30 days as a scheduled task with a time limit of 1 hour. This removes the ability to uninstall any updates applied until this point in time. Want more information on how all this works under the covers? Most of these are not automatically turned on with the exception of Windows Defender whose service is started after reboot. You’ll likely want to stop the service and disable it after reboot. Not all 3rd party anti-viruses conflict with Windows Defender, but there have been reports that some do. 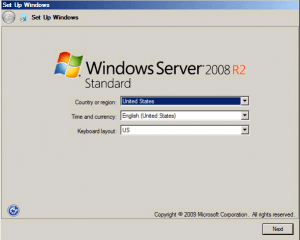 Welcome to Part 1 of my series “Step-by-Step: Configuring a 2-node multi-site cluster on Windows Server 2008 R2″. Before we jump right in to the details, let’s take a moment to discuss what exactly a multi-site cluster is and why I would want to implement one. Microsoft has a great webpage and white paperthat you will want to download to get you all of the details, so I won’t repeat everything here. But basically a multi-site cluster is a disaster recovery solution and a high availability solution all rolled into one. A multi-site cluster gives you the highest recovery point objective (RTO) and recovery time objective (RTO) available for your critical applications. With the introduction of Windows Server 2008 failover clustering a multi-site cluster has become much more feasible with the introduction of cross subnet failover and support for high latency network communications. With your redundant communication paths in place, the last thing you need to consider is your quorum model. For a 2-node multi-site cluster configuration, the Microsoft recommended configuration is a Node and File Share Majority quorum. For a detailed description of the quorum types, have a look at thisarticle.